Wonder how did you get stuck with all that fat on your thighs and belly? Well, we have discussed over this topic for so many times, and it is one of the most common topics subjected in the healthy living magazines. If you fancy junk food and carbonated drinks, then all those fatty deposits should not come as a surprise to you. Poor physical activity is a reason more that keeps you away from fitting in your favorite jeans. We suggest that you prepare this fat burning detox drink as it will purify your body from all the toxins and help you get rid of the extra pounds. 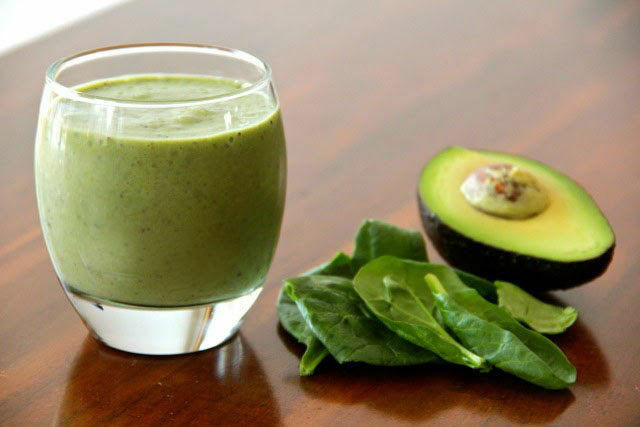 All you have to do is drink a cup of this miracle fat burning detox drink in the morning, before you eat or drink anything, and this simple and natural recipe will soon give you the results you wish for. Introducing green leafy vegetables is the best way to start the detoxification process and get rid of all the impurities that complicate the metabolic rate within the body. Parsley, more than just a decorative herb, is believed to help fight cancer, is a rich source of antioxidants helping boost your body’s immune system, as well as an anti-inflammatory. Parsley leaves are rich in flavonoids that are packed with essential nutrients such as magnesium, calcium and potassium. Avocado is an amazing fruit full with antioxidants and it is great for decreasing cholesterol levels and it dilates the blood vessels while blocking artery-destroying toxicity. It is rich in glutathione, a compound which blocks more than 30 various carcinogens and thus helps the liver detoxify synthetic chemicals. Furthermore, you should include foods rich in vitamin C to keep you hydrated and enable proper function of all vital organs. This way you will flush all the toxins entrapped in the body and start losing way the natural way. Citrus fruits like lemons are high in vitamin C which helps turn the toxins into digestible material. They also stimulate liver function to increase detoxification. Wash the leafy greens well, peel the avocado and cut it into cubes. Blend all the ingredients together, except for the honey and ginger. Add these two at the end and blend again. Drink a cup of the healthy fat burning detox drink every morning, before your breakfast, and enjoy the results! Okra Water – Treats Diabetes, Cholesterol, Kidney Disease and Asthma! I would like to comment on the liver cleanse..I did the cleanse and it worked! I had about 50-60 small stones come out of me! I was expecting more but it still worked good. Would recommend it to other people. I am 35 yrs old.